The Arabian Sea is one of the largest seas of the world. It is economically very important due to the presence of huge oil fields of Arabia. The sea is known for its generally dry weather along the Western coast and its long, deep sea routes free of islands and undersea ridges. During the Roman period, the sea was known as the Erythraean Sea to the European people. The ancient Vedic Indians called it “Sindhu Sagar”. The Arabs call it “Bahr al-Arab”. Learn some interesting and useful Arabian Sea facts. Arabian Sea is a part of the Indian Ocean. It is actually, the North Western branch of the ocean while the North Eastern branch is the Bay of Bengal. The Arabian Sea covers an area 1.17 times greater than the area of India. In exact, the number is 1491000 sq mi or 3862000 sq km. Arabian Sea is strangely shaped like a man facing westwards with his two hands extended outwardly. The forearm of the right hand is the Persian Gulf and the upper arm is the Gulf of Oman. The right elbow is the Strait of Hormuz. In the same way, the left forearm, upper arm and elbow are the Red Sea, Gulf of Eden and the Strait of Bab el Mandeb, respectively. There are two more important gulfs on the North Eastern shore of the sea. 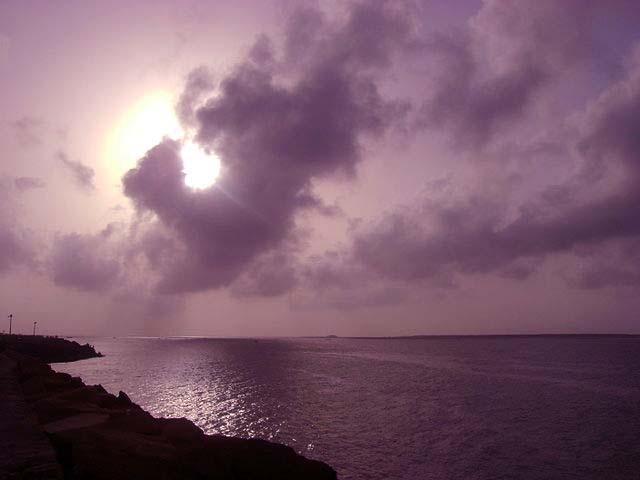 These are Gulf of Khambhat and Gulf of Kutch of India. 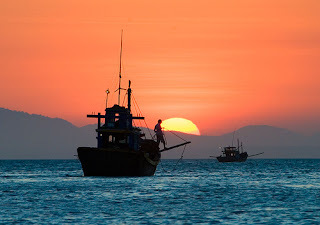 The sea is bounded by three large peninsulas which are the Indian Peninsula, Arabian Peninsula and the Horn of Africa. The sea has borders with Asian countries – India, Pakistan, Iran, Oman, United Arab Emirates, and Yemen. The two African nations with such criteria are Djibouti and Somalia. Despite the Indian Subcontinent, most other regions bordering the sea lack major rivers. The largest river which joins with the sea is Indus. Other such important rivers are Narmada, Sabarmati, and Tapi etc. 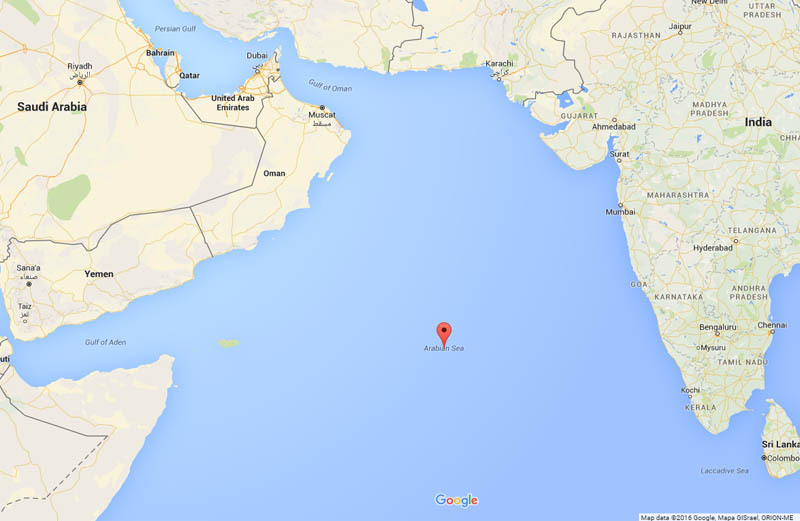 The Arabian Sea does not have many large islands. 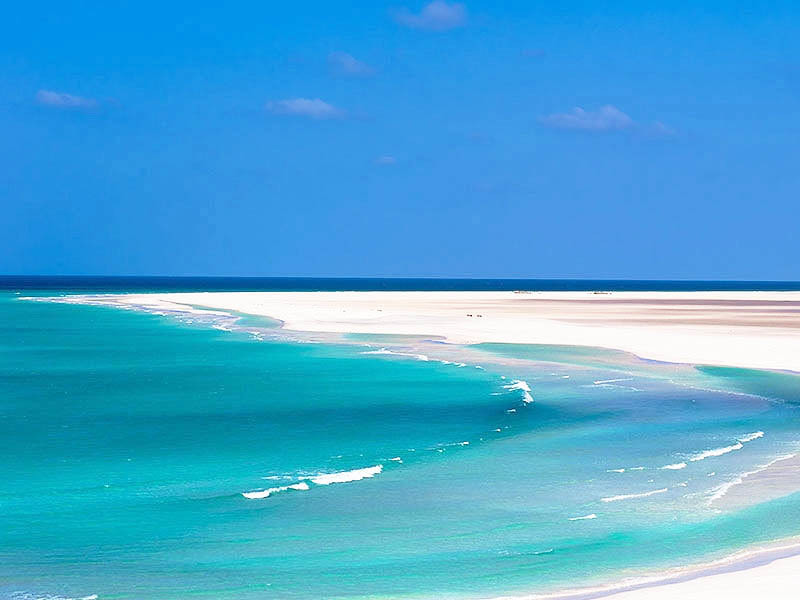 The major islands dotted over the sea are Socotra, Astola, Masirah, and Lakshadweep Islands etc. The sea is very deep in most of its extent. The average depth is 9800 ft (2900 mt). 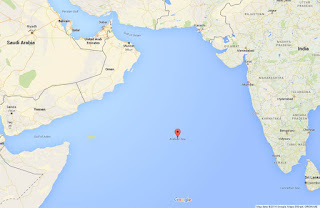 Wheatley Deep (19038 ft or 5803 m) is the deepest point of the Arabian Sea. 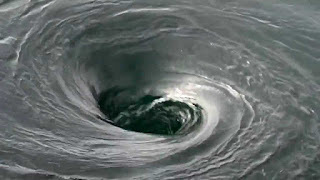 The climate over and around the sea is controlled by the monsoon winds. The seasonal wind flows from the South Western region to the Indian Peninsula from the month of Jun to August. From September to November the wind returns back to its place of origin, so the direction of the wind flow just reverses. The eastern part of the Arabian Sea experiences decent rainfalls due to the rainy seasons but the Western and Northern shore known for very little precipitations. Due to the lack of rainfalls and scarcity of major rivers along with its general hot weather, the water of the sea has high salinity. There is a long submarine ridge named Carlsberg Ridge which separates the Arabian sea into two basins – Somali basin in the West and Arab Basin in the East. There was a trade route close to the northern shoreline of the sea which was used by the ancient ships about 7000 years ago! That route was used by the earliest human civilizations of the Indus valley and Sumer. There are many modern important sea trading routes cut across the sea. The sea is always full with the oil exporting tankers from the Arabian countries. Moreover, the Suez Canal leads the major sea cargoes over this sea. It is very natural that there are many large ports in the Arabian Sea. The largest among all these is the Jawaharlal Nehru Port of Mumbai, the wealthiest city of India. Some other major sea ports are Karachi, and Gwadar of Pakistan; Salalah of Oman; Kandala, Kochi, Mormugao of India. The Arabian coast is full of different types of algae at the surface level of the sea. Sargassopsis zanardinii is an endemic spices of such algae that can't be seen anywhere in the world. The Arabian Sea is full of many types of fishes like Tuna, Shark, Moonfish, Sardine, Billfish etc. Fishing is one of the major small scale industries in the coastal regions of India, Pakistan and African countries around the sea. Other sea creatures found in the Arabian sea are Dugongs, turtles like Green Trutle, Hawksbill and Olive Ridley etc. The sea is the abode of many types of large whales. Most prominent among these are Blue whales, Bryde's whales, Minke whales,Humpback whales, Sperm whales, Orca etc. Many types of Dolphins and Porpoises also live here. 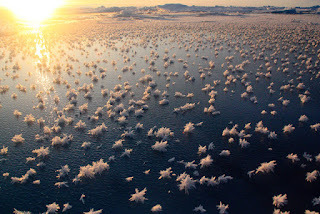 Due to the seasonal up-welling of phosphorous rich subsurface sea waters, sometimes the oxygen level of the upper layer of the sea becomes very poor. As a result, millions of fishes and other pelagic animals die within a short span of time. If you are interested about oceans and seas then read the post about all five oceans.